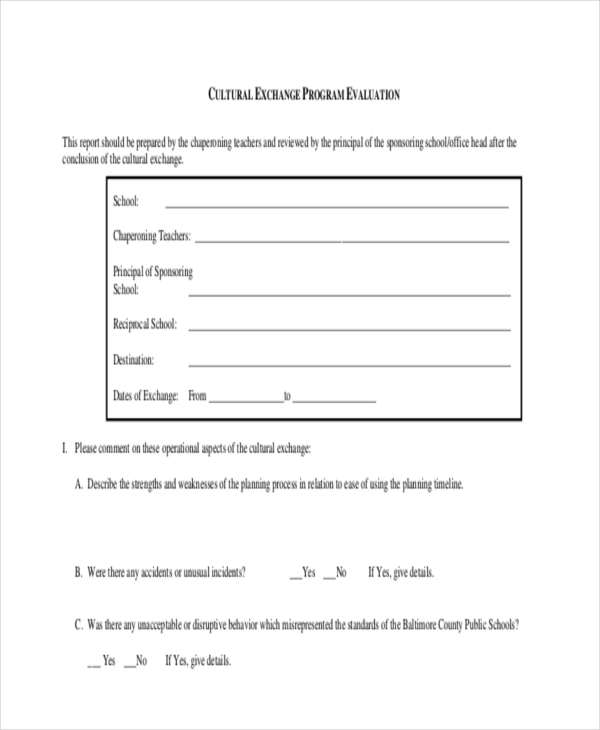 A company that organizes a training program, hands out these forms to the people who have attended the program to find out what they thought of the event. This helps the company to make improvements and come up with better ideas. 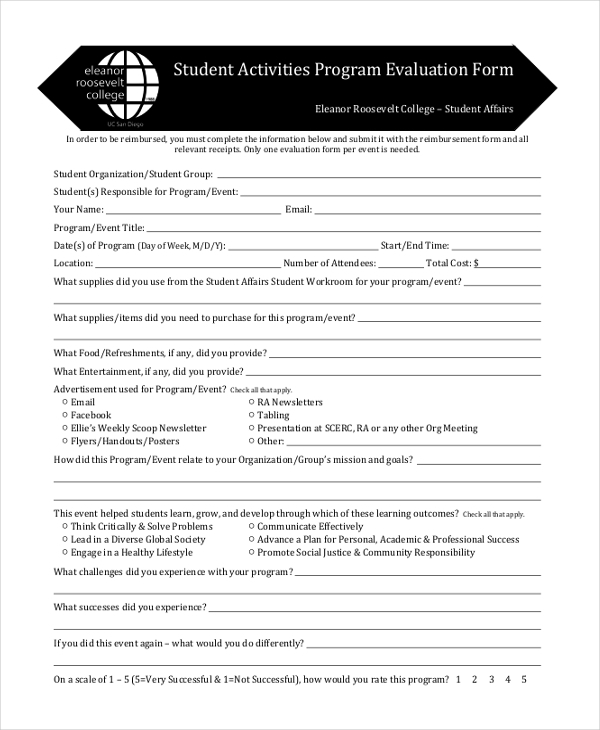 This is a sample of a training program evaluation form. This comprises of the major segments which should be a part of such a form. However, the user can easily make changes to the format, as per his needs. This form is used by an agency that conducts a training program for people who might be thinking of continuing their education. The participants are required to fill this form which enquires them about their experience with the program. 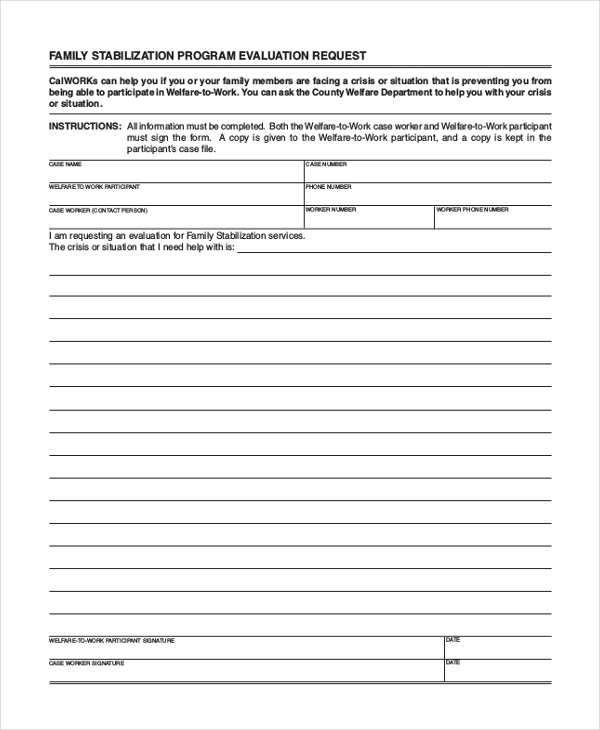 Any agency that conducts programs to help families overcome their struggles and crises uses this form in the end of the program. 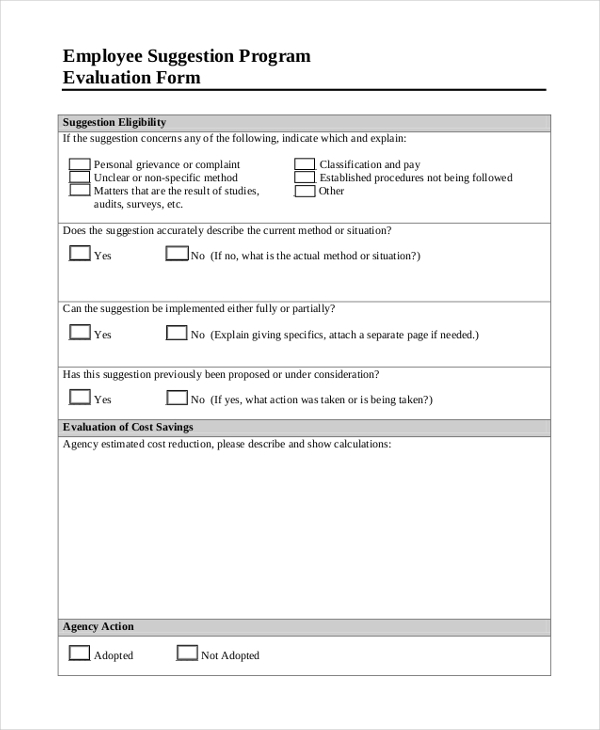 By analyzing these forms, the agency can ascertain if the participants found the program useful. 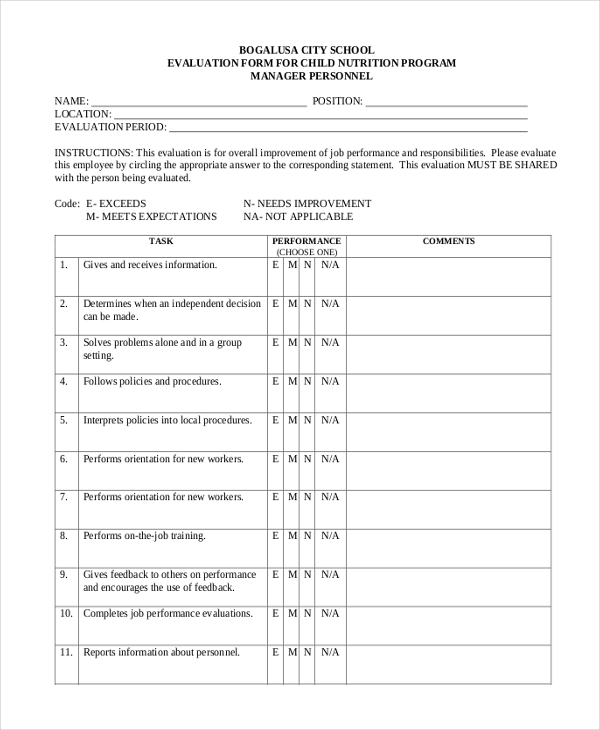 Mainly used in organizations, this evaluation form is handed out to the employees at the end of a training program. This helps the company assess what the employees thought of the program and also get some suggestions from them. 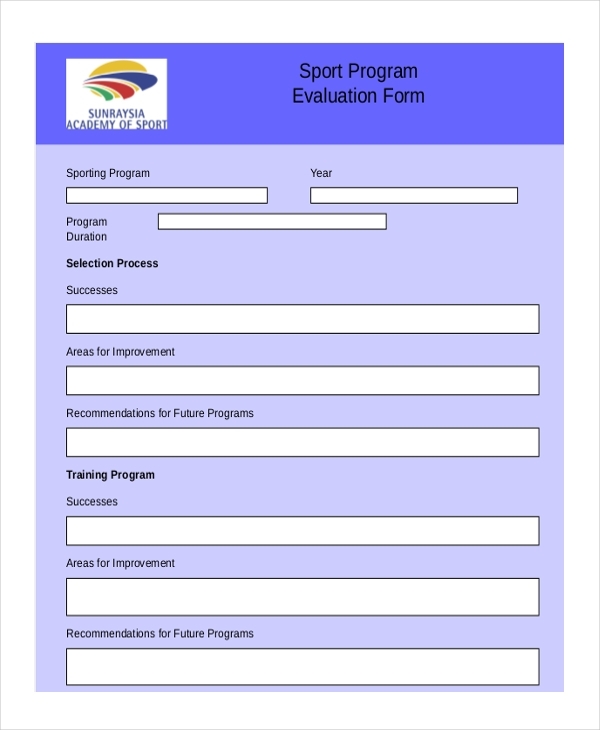 This form is generally used by sports clubs and sports training schools to assess what their members think of their programs and what more improvement can be made in these. As the name indicates, this form is used at the end of a cultural exchange program to assess the experience of a person in the new environment. This enables the authority responsible to understand the situation and come up with new ideas. This form handed out to the participants of a child nutrition program to find out what they think about the program as well as the trainer. Analyzing the result can help the trainer to improve his skills. 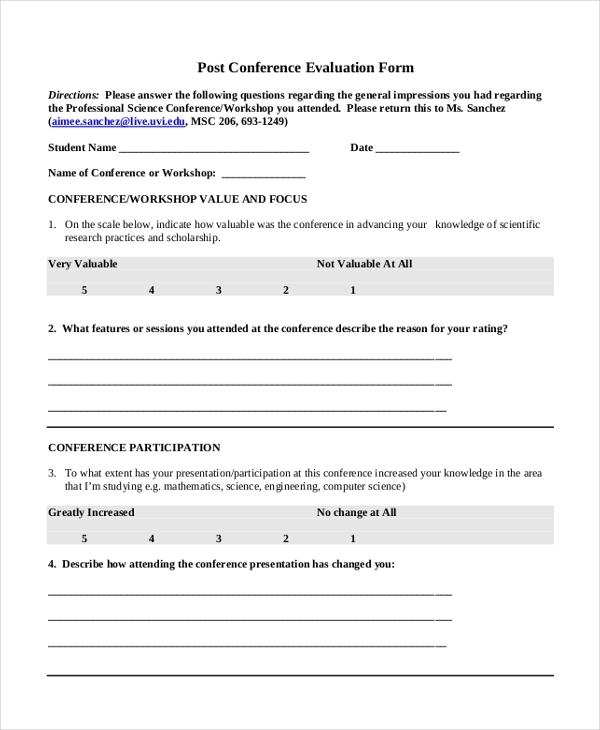 Given to the participants of a conference, this form requires them to fill in details about the conference that they just attended. They are required to share their views about the conference by mostly answering close ended questions. This form is used in school and colleges to confirm if the students are happy with the various activities that are offered to them. Their response helps the authorities to improve the activity program such that students find these more interesting. 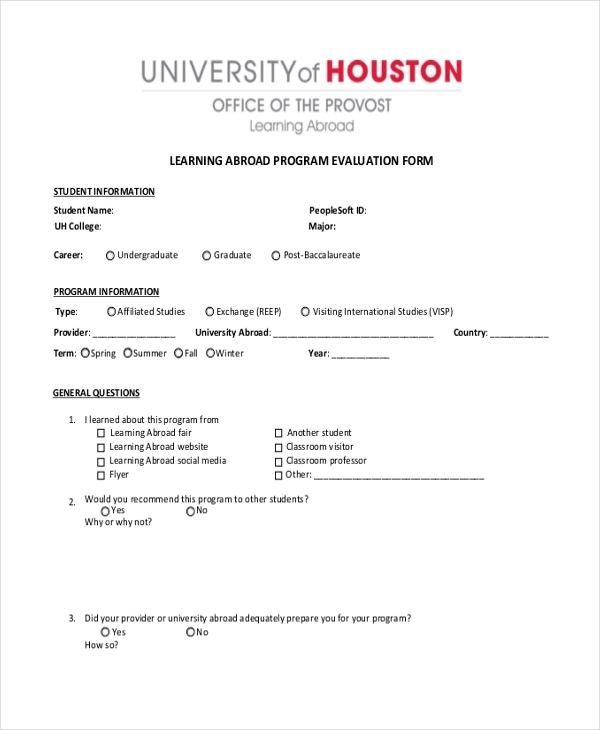 This form is used by the agencies that conduct special programs for people interested in pursuing their studies overseas. The agency expects the participants to fill out this form which enables them to understand the impact of their programs. 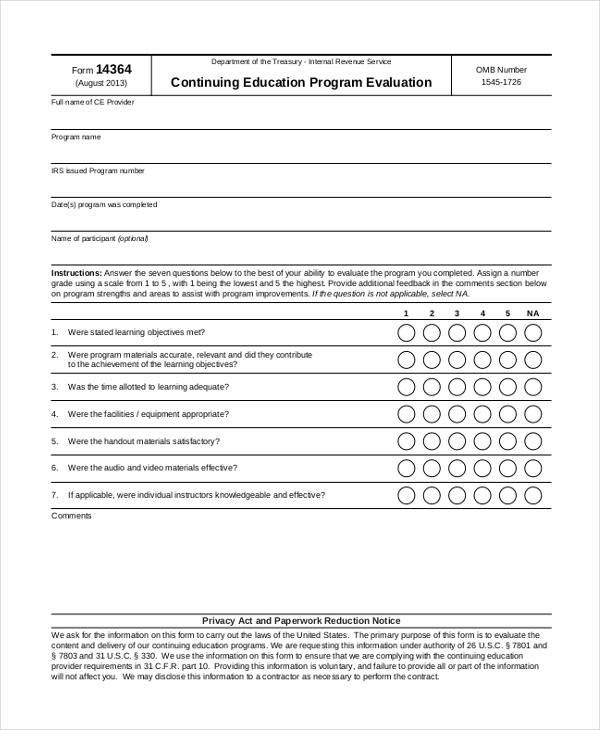 Who should Use Training Program Evaluation Form? Though this form is known as a training program evaluation form, in a wider concept, it is not only meant for people who impart training. It can be used by any company and agency that may be conducting a program to help other people improve their skills or learn something new. Thus, these forms should not only be used by training agencies to assess what their participants think of them, but also by companies, schools, counseling agencies and non-profit organizations. The result of these forms, give the party concerned an insight into how their programs can be further improved. What are the Benefits of Using a Training Program Evaluation Form? 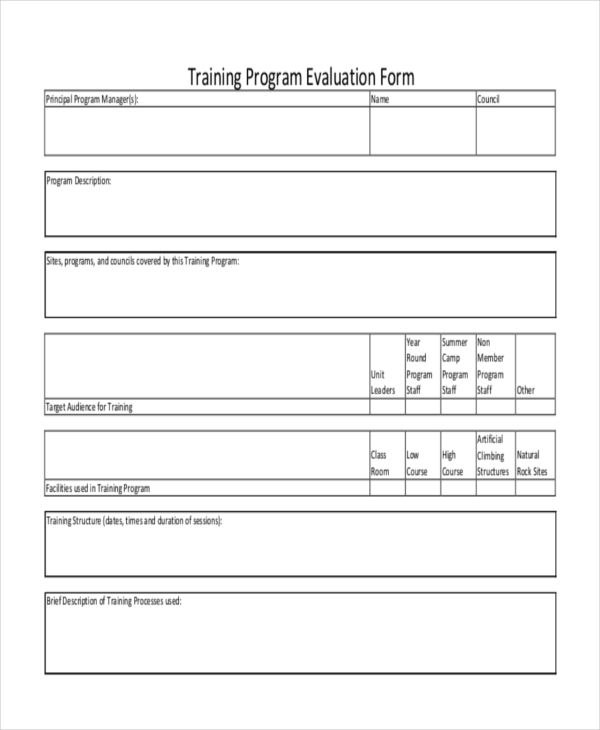 How can you Design a Training Program Evaluation Form? 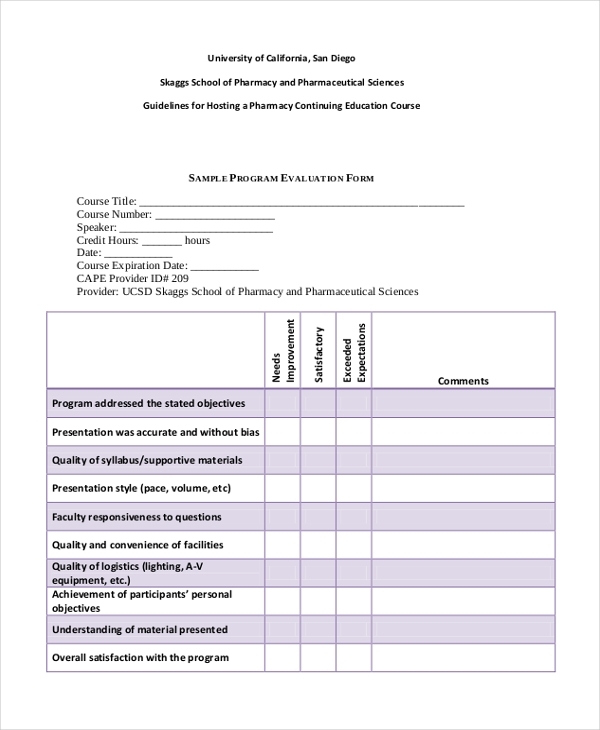 A training program evaluation form, if designed properly can give you some important insight into the psyche of the participants. However, if you are not sure how to do this, it would be a good idea to look for one online that would be perfect for your needs. These forms can be easily downloaded and customized, which makes them a suitable choice for all.